One of four GlenAllachie whiskies that have been released in July 2018. 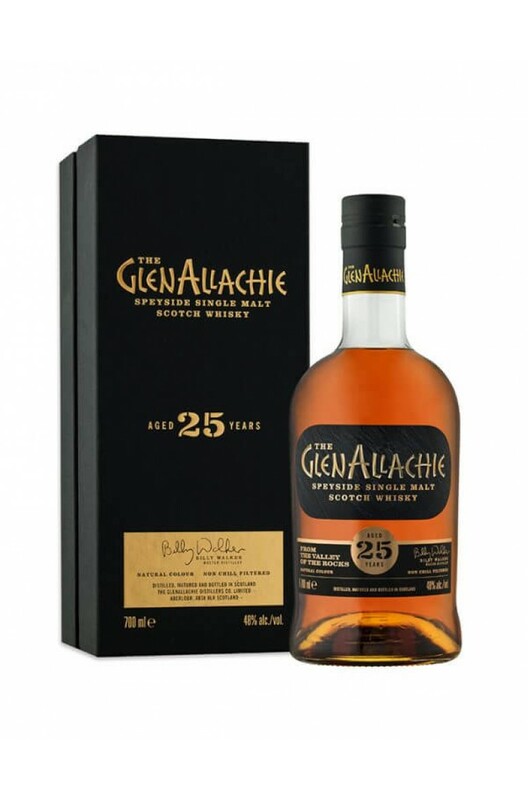 The 25 Year Old has been matured in American oak, Oloroso Sherry and Pedro Ximenez casks, it has also been bottled at 48% so a little higher than the 12 and 18 Year Old. Notes of dried fruits, toasted oak and zesty orange appear on the palate. Aromas (without water) Sweet spices, marmalade and sultanas balanced in total harmony. Palate (without water) Lashings of sultanas, pineapples and dark chocolate, followed by layers of Christmas cake, marmalade and sweet spices. Master Distiller Billy Walker (previously BenRiach) bought GlenAllachie in 2017. The 18 Year Old has..